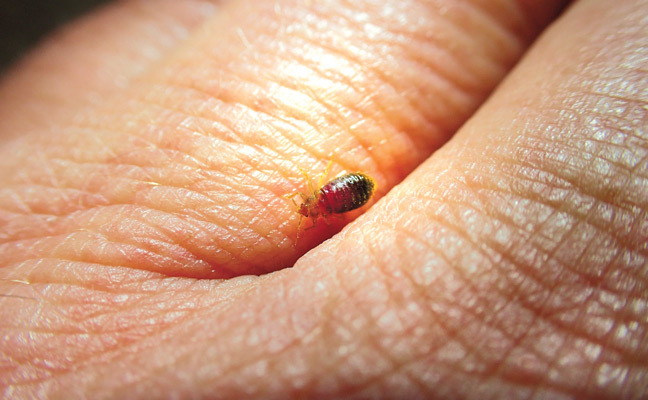 Bed bugs can feed and survive on the blood of many mammals and birds. Bat bugs will bite humans, but cannot survive on them alone. Of all the insects commonly mistaken for bed bugs (Cimex lectularius), bat bugs are one of the most difficult to distinguish. 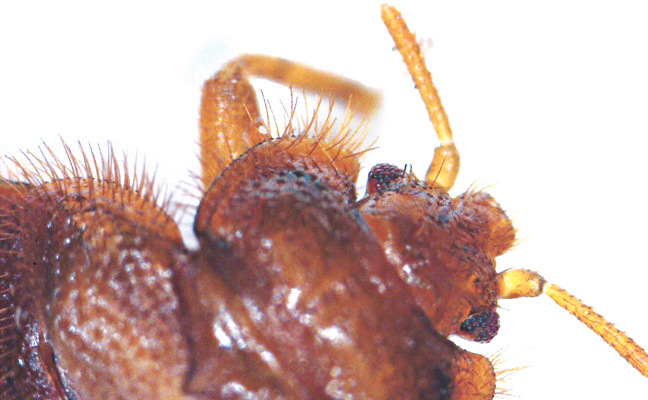 The term applies to several species in both the shared bed bug family Cimicidae. Differences between bat bugs and bed bugs are subtle, and it takes a microscope and a little training to tell them apart. The hairs that cover the prothorax are much longer on bat bugs than they are on the bed bug. While most references indicate bat bugs won’t reproduce on human blood, there are several that report it does happen. Without a serious study to test this, we are left to wonder. Perhaps I’m too curious for my own good. I offered a number of bat bugs the proverbial “free lunch” (on my hand) and found that they are reluctant to feed. Of those that did, some even molted — but none reached the adult stage. It wasn’t real science, as I didn’t have a large enough sample to draw a solid conclusion, but it was clear that these bat bugs aren’t as versatile in their choice of hosts as the common bed bug. ⦁ If you see an actively breeding population on a bed, it’s a safe bet they aren’t bat bugs. ⦁ If the residents report many bites, they likely are not bat bugs. ⦁ If you have treated several times and found few, if any bugs, but the residents find bugs regularly, you might be dealing with bat bugs. ⦁ If the bugs are found on top floors next to exterior walls with no evidence on mattresses, you might be dealing with bat bugs. ⦁ If they find bugs, but no one is ever bitten, you may be dealing with bat bugs. ⦁ If you see evidence of bats on the exterior, you should be immediately suspicious. It helps that bat bugs are relatively easy to control as long as you have access to the bat roosts. But if you assume they’re bed bugs, nothing works.